Assault Panel for the SPITFIRE Plate Carrier is the first of the planned series of back panels meant for the Plate Carrier. The design allows rapid reconfiguration by attaching to pre-arranged rear panel zippers of either the SPITFIRE Plate Carrier or the HALIFAX backpack. The ASSAULT PANEL pocket layout was made to fit in the CQB role. 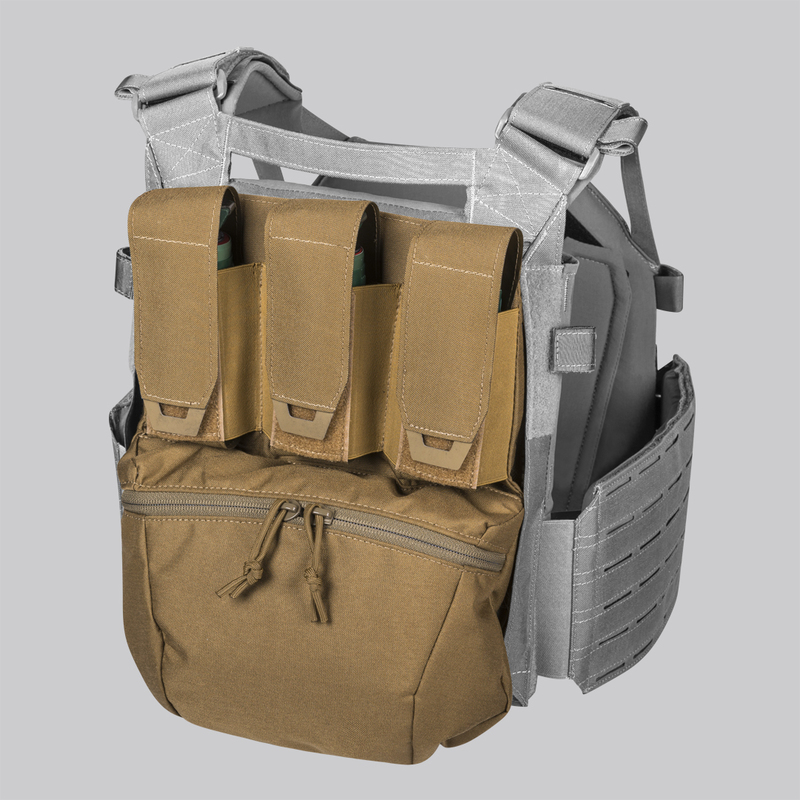 Top portion has three Velcro®-closed pouches to contain various types of flash-bangs or spare magazines. Large, zipper-closed universal cargo pouch is mounted beneath them. Its lined with soft, velour material so it can be used for carrying scratch sensitive objects, like eyepro or NV goggles. Underneath the whole back of the panel there is a flat pocket for a hydration bladder or breaching tools secured with Velcro®.